We are so very pleased to share with you all the gorgeous images of Katie & Zach Flecks wedding at Chateau Cocomar. I don’t even know where to start…We have had so much fun getting to know the Quisenberry and Fleck crews over the last year. They are one of those families you just fall in love with from the moment you meet them. Katie and Zach are beyond too cute together and they are surrounded with an amazing supportive group. We knew we had a instant connection with these two when we found out they are from DFW, our home away from home. We were so excited to get to go back up there and capture their country, rustic engagements in Ft Worth. We then had a blast capturing Katie’s elegant bridals in her stunning Brickhouse Bridal gown at the always lovely Chateau Cocomar. 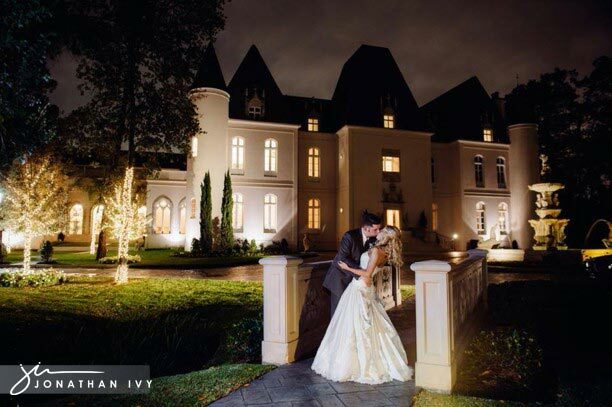 Then to wrap up the celebration is their beautiful Chateau Cocomar wedding which is featured below. Please enjoy! I will love you for the rest of my days, and will love you beyond the world as we know it. Beyond forever, beyond always. Loving you is what I was put here to do. Once again Edible Designs by Jessie completely knocks it out of the park…no pun intended with this Rangers Ballpark in Arlington Grooms Cake. This is the most detailed stadium grooms cake we have seen!